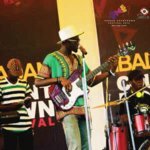 We interviewed the organizer of AMFEST (Africa Music Festival & Culture Expo), which will take place in Lagos, Nigeria 2-6 July 2018. AMFEST, short for Africa Music Festival & Culture Expo, is a West African creative industries expo which is now in its 3rd edition. 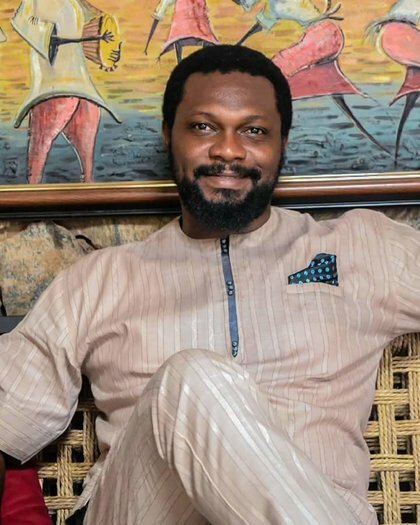 Olukayode Amedu Adebayo, president of Kayode Adebayo Media and director of media at GoldRock Inc, USA tells us about AMFEST’s aims and structure. Piranha Arts are supporting the upstarting meeting in connecting international global arts community and our very own director of Consultancy Christine Semba, will head to AMFEST this July. 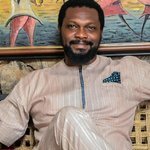 Mr. Olukayode Amedu Adebayo, what is the aim of AMFEST expo? AMFEST EXPO was created as a platform to help the creativity business ecosystems of Africa. We aim to be a platform to help the African creatives grow their business and connect globally. We want to help them to learn and grow. When did you start AMFEST and how has it developed since then? The AMFEST EXPO vision was birthed in 2015, and an opportunity came in 2016 to help produce and project manage media for Ibadan Countdown Festival in a South Western City of Nigeria with a group of associates. The seven day event of 2016 was attended by 21,000 people, great for a first edition. The same regional festival had a successful 2017 edition that attracted 29,000 attendees. Scaling up AMFEST has been challenging but fulfilling. As we knew we wanted an event that matches the international standard, we are now forming strategic partnerships in Europe and the US to help us develop. The Pan-African engagement into AMFEST, including the public sector, has been encouraging – they see we genuinely want to help culture and cultural professionals. How come each AMFEST day is dedicated to a different art form such as film, music, visual arts and even cuisine? We dedicated each day to a sector because we wanted to cover the business ecosystem within the culture, arts and entertainment sectors. At the same time we want the professionals to see how interconnected these industries are, and the need to leverage each other to grow financial power. How is the development of the Nigerian music scene and market? The Nigerian Music industry has grown to become the most prominent in Africa and also gained a lot of attention internationally. It has been aided primarily by technological exposure and private sector involvement because it is predominantly youth-driven. It’s a demographic that brands and companies target. Afrobeats music has become the voice and expression of young Nigerian and African. It has grown internationally because of the diaspora Nigerians and Africans spread all over the globe. They take the music wherever they go. Can you name a few outstanding/noteworthy artists, careers/ projects our professional community should check out? Big Artiste that represent this movement are Wizkid, Davido, Ayo Jay, Tiwa Savage, Yemi Alade, DBanj. Also Adekunle Gold, Burna Boy, Runtown, Timaya are worth mentioning. There is a growing Afrobeats Deejay movement also, Dj Jimmy Jatt, Dj Oby, Dj Spinall etc are strong and influential Deejays in the movement, most of them record, play in festivals,stadiums and big events all over Africa. The next big thing in the Nigerian creative industries? In the creativity sector, watch out for African Visual Artist, African Fashion designers, African tech startups, Afrobeat Music is the new hip hop. Would our international music professionals from Asia, Europe or the Americas just be able to connect the Nigerian scene at AMFEST? No, it goes well beyond the country and even the region: the best professionals and practitioners from all around Africa in the Music, Film, Fashion, Creative Arts & Technology sectors will be on ground to meet and exchange culture with the world. How international and intercontinental does the West African scene operate? The West African Creativity Scene is the biggest influencer in the African continent. The music, film, visual artist, photographers are about the biggest in Africa. West Africa is about the most fashion forward region also. Creatives from this region have dominated the African scene and have found formidable penetration into the international scene. Artiste like Laolu Shebanjo has worked with Swizz Beats, Alicia Keys, Beyonce. Wizkid has featured on records with Drake, Chris Brown, Tinnie Tempah and have enjoyed massive streaming numbers and sold out concerts in Africa and internationally. What are the next steps to reach out globally and connect latin and north americans, asians and europeans to the African scenes better? The next step for Africa is to organize and expose her culture in a very strategic manner that will economically empower the creative. I believe Africa is at the forefront of the new creative business trend, because professionals have always traded their craft independently. A platform like AMFEST EXPO will carefully curate data all around Africa, that can help professionals take informed business decisions and also help investors and businessmen have the necessary data and analysis that will make them feel safe to invest, while expecting a good return on their investment. We will be getting the public sector involved in helping to nurture the creativity industries. 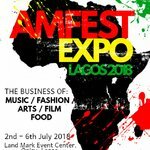 AMFEST EXPO will be attracting the best business minds from Asia, Europe, Asia, America, South America annually to Africa to give African creatives to opportunity to network and form business associations and partnership that can foster expansion of content, talent, skills outside Africa with the purpose of getting better value. Africa's creativity economy is potentially an $800billion market with strong year in, year out growth potentials. What is your vision where the creative professionals in West Africa will stand in five years? We strongly believe that the African creatives especially in Music, Visual Arts & Fashion will be the most relevant and influential in the next 5years. We have started to see sparks already in examples like Kehinde Wiley, Wizkid, Maki Oh and more. Which knowhow areas are strong amongst West African professionals already, which parts need capicity building and new learning? West Africa Creatives are very strong in music and fashion already. Their capacity of communicating their surroundings effectively in their work of art, makes them stand out. Their kind of music and fashion is very colourful and vibrant. Dance music is the most embraced and the ceremonial style of fashion, especially for celebrations like weddings, festival etc. West Africa needs capacity development properly creating value from their arts & culture. There is a need to properly harness the rich culture and population of West Africa effectively, for real social and economic impact. Is Music and Tech a topic at AMFEST? Music and Tech are topics at AMFEST EXPO 'Lagos 2018'. Music is on 6th July and the grand finale of the festival. All activity for the day ends with a Music Concert which the #musicAMFEST Day Producer 'Dr Kunle 'Ksticks' Pinmiloye' from California is describing that it will be an Afro Orchestra type delivery. The attendees will leave with an experience indeed. Technology is featured at AMFEST EXPO as #techAMFEST Day because Arts & Culture have found a unique relationship with technology in the capturing, branding, presenting, distribution of content. Through streaming technology alone, music piracy in the USA has reduced by 50%. Culture and arts can strongly benefit from technology. Why should we all visit Lagos? AMFEST EXPO is hosting the biggest business tourism opportunity this summer in Africa. The biggest business gathering this year and specifically tailored to the culture, arts & entertainment business sectors for 5days. AMFEST EXPO 'Lagos 2018' is projecting an attendance of 50,000 for 5days, giving a wonderful opportunity to exhibit goods and services. Public sector delegates will be available for netowrking and to to discuss international trade and investment opportunities with international companies and countries. AMFEST EXPO 'Lagos 2018' is also hosting the biggest party this summer with 5beach parties back to back, Deejays from all over Africa attending to make sure your evenings are memorable. The Lagos State Government is also working out an elaborate tour of Lagos for interested attendees.